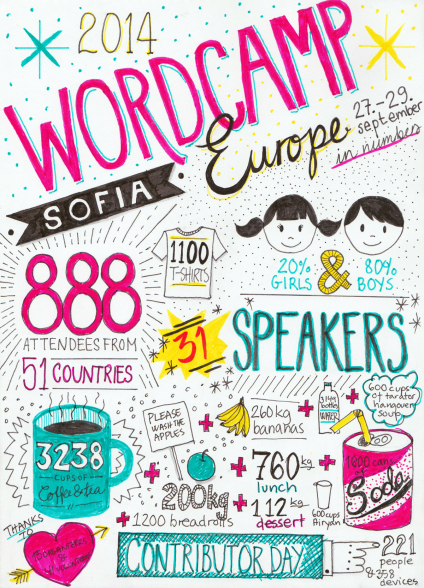 This year was my first year venturing to a bigger WordCamp… WordCamp Europe in Sofia, Bulgaria. The event took place over the weekend of 27th – 29th September 2014 with 888 attendees from 51 different countries. After the opening remarks, the first talk I went to was by Daniel Kanchev – WordPress Migrations Done Right. Since Daniel is the Senior Web Apps Engineer and Migrations Specialist at SiteGround and they offer free migrations to their new clients (from the old webhost to SiteGround’s server), that is hearing it from the most experienced/best! This followed by Luca Sartoni’s talk – Growth Tips for any WordPress site. After the first coffee break, Konstantin Dankov’s talk, Styling the WordPress Admin, made a huge contribution to my life. His mention about pattern lab made me want to try it too (and I love it!). This followed by Konstantin Obenland’s talk – Inside Underscores. Even though I use Genesis Framework, it was still interesting to get an insight behind the scenes. Where it all started and where it is heading. In the afternoon, the talk that really stood out for me was by Adrian Zumbrunnen – Rethinking content creation. An idea he had years ago of creating, editing and styling content from the browser. This idea never went ahead, but he has applied this to WordPress. 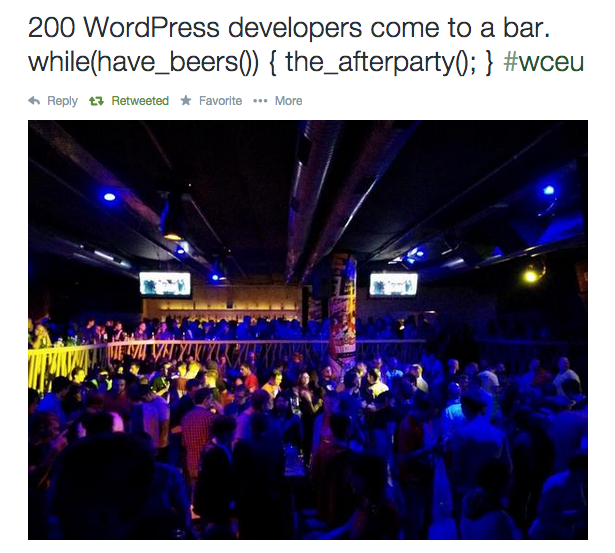 It looks like the world might see his WordPress version of the idea come to life soon. The second day of the conference took off with a bang. The day after the after party, the energetic and passionate talks by Chris Lema – Professional WordPress and Tony Perez – WordPress Security – It Starts With Posture was a good start to the day. Simon Wheatley’s talk – Running An Open Source Business had really good insight of how companies can use open source whilst making a conscious decision of contributing to the project too. Even though everything was kind of a highlight over the whole weekend, the Q&A session with Matt Mullenweg and Om Malik after lunch, was the highlight of the weekend. Watch the video at WordPress.tv. I was also glad to be in Joost de Valk’s talk – The devastating power of defaults. There were some defaultssettings in the plugin, already ticked off, that I was wondering about. Well, his talk cleared that up for me! I was pleased with the tables with unlimited refreshments to keep people going through the day. With my own consumption, it did make me wonder about the statistics… and luckily Kristin did make an infographic! It was such an amazing experience for me. I am curious to know where next year’s one will be and I will definitely be there!